Get ready for 45 minutes of music and movement focused on LOVE. 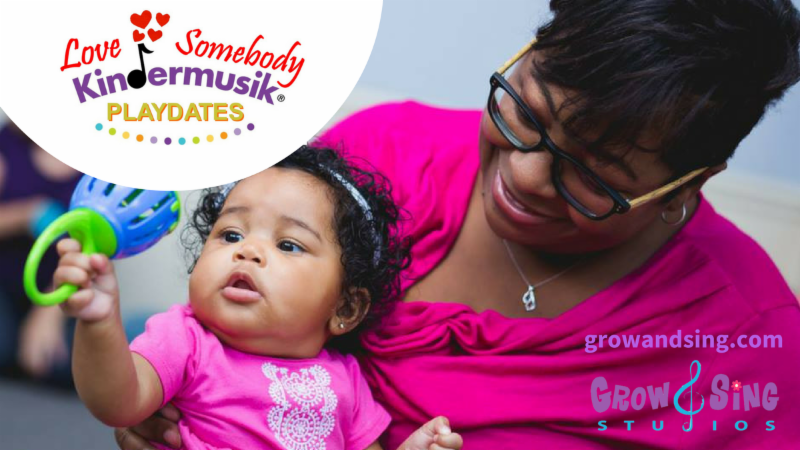 Grow and Sing Studios Kindermusik Playdates are a one time 45 minute class for parents and kids on the go! Our Kindermusik Playdates are a really fun Kindermusik family time experience mixed with goodies to take home. These classes are a GREAT opportunity to experience what Kindermusik is like if you are considering subscribing to weekly classes. Kindermusik playdates are recommended for babies up to 5 years old. They are multi-age classes, and parent interactive! Cost is $15, or use your groupon. Classes begin Monday, Enroll TODAY!